Luegolu3go Studios has announced that the 8-bit action-platformer Nogalious will be heading to Nintendo Switch in 2019. Nogalious is a pixel-art action adventure set in a medieval-themed universe with plenty of puzzles and menacing challenges. Take on the role of Nogalious, a former knight of the Kingdom of Rusadir, and explore 5 different worlds to save your daughter Mariet from the evil claws of Darama. 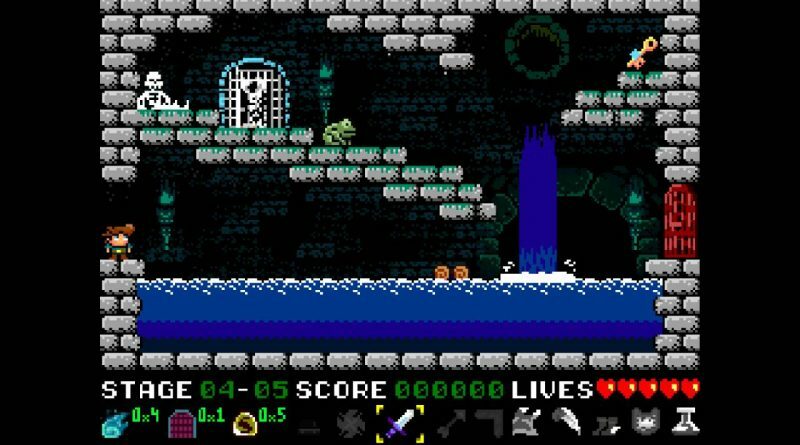 Originally released on MSX, Spectrum, Amstrad and Commodore 64, Nogalious is the first title of a trilogy that tells the story of Nogalious, his daughter Mariet, and the evil Darama.